Founded on principles of honest, dedicated, accurFounded on principles of honest, dedicated, accurate reporting & quality service -- Ericks Environmental stands above its competitors by reputation, ethics, pricing and standards. Our motto is “WE CARE” and we really DO care, very much. ate reporting & quality service -- Ericks Environmental stands above its competitors by reputation, ethics, pricing and standards. Providing inspection services to the Tallahassee, Florida and North Florida area since 1992, we love our work and our "We Care" sentiment is with us on every job. 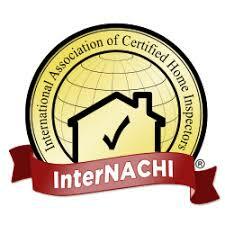 We are Florida licensed home inspectors. Over 30 years of combined commercial and residential building inspection experience with specialties in mold and moisture intrusion and indoor environment. We have a holistic approach to all complete building inspections. Small projects- no project is too small. Large projects- we do it all. WE CARE - What Matters to You, Matters to Me! We take our tagline very seriously and for the last 26 years have been committed to the principles of honest, dedicated, accurate reporting and quality service. Ericks Environmental stands above its competitors by reputation, ethics, pricing and standards. Educated in Indoor Environmental Hygiene with course studies at New York Medical College Graduate Studies Program/Industrial Hygiene.